Content marketing is an effective tool to expand your plumbing business’ online presence. It’s a great way to let people in your primary service area know what kinds of plumbing services you offer in case they need them. But for content marketing to succeed, it has to be part of an effective overall strategy. If your content strategy is mediocre, it will produce mediocre results. 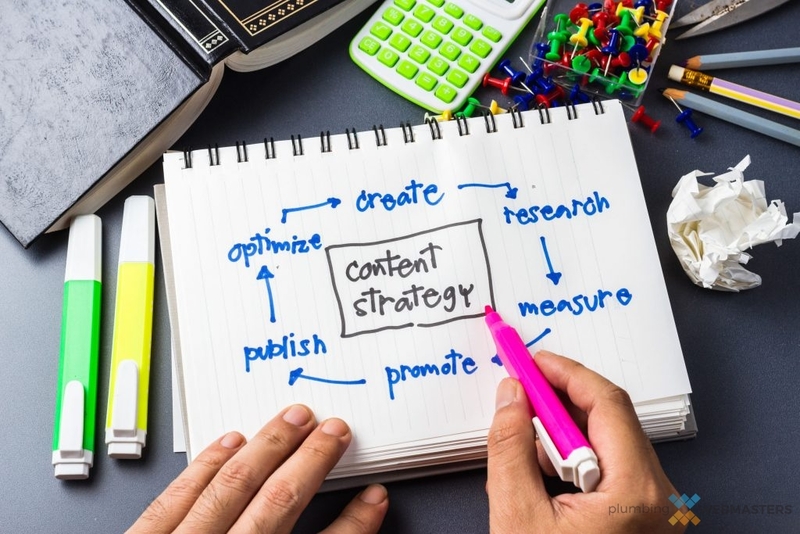 Content strategy and content marketing sound the same, but they are two different components of your plumbing business’ organic SEO. Marketing is the outreach to potential clients explaining your service offerings to them. A strategy is the planning and methods behind your entire process, including how you will market your services to people. Consider it like this. Content Marketing The actual execution of your plan, during which you deliver your content to potential clients and users through different mediums and methods. Content Strategy The development and planning phase where you decide on the best ways to reach your target audience. Content strategy is the first step in an effective content marketing campaign. Your strategy lays the groundwork for the success of your entire marketing plan. That means selecting the who, what, where, when, why, and how for your content. This usually involves planning around certain elements as well, like researching your target audience and the best ways to reach them with content. For example, if you want Millennials to read something about your plumbing business, one of the better ways to reach them is through social media. Plumbing Webmasters offers different content marketing plans to fit any business’ budget. Contact Plumbing Webmasters at (877) 388-9884 to learn more about proper plumber content strategy and content marketing. Effective content marketing means implementing a well-formed content strategy. Planning out your strategy means being able to answer questions like “Who do we want to see this information,” and “What is our ultimate goal?” Without planning out your content strategy, there is the only implementation without any thought. It means implementing content without a reason. If you don’t use the content strategy phase to plan out your content marketing, you won’t be able to run an effective content marketing campaign. Proper use of the strategy phase includes the following. Auditing This is taking content already on a website and determining its value. Audience Research Who is your target audience and what is the best way for your content to reach them? A Well-Planned Content Strategy has Multiple Vital Components. At Plumbing Webmasters we employ a team of SEO experts that work together to plan your content strategy. 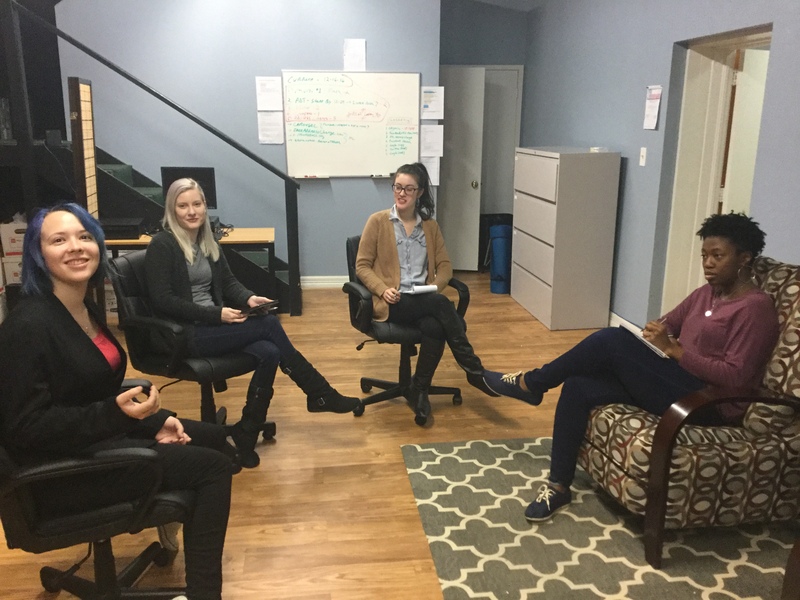 Our people coordinate to ensure that your strategy is an effective marketing tool to reach your target audience while helping to build your online presence and brand awareness. Our graphic design and content creation teams work together to create a content strategy that adheres to your plumbing company’s mission and values. For more information about effective content strategy for plumbing businesses call Plumbing Webmasters at (877) 388-9884. You have a plumbing business to run. That is complicated enough and requires constant care and attention to ensure everything runs smoothly. So why not hire a company to handle your plumber content strategy? When you select a content management plan provided by Plumbing Webmasters, we take over every aspect of your basic online presence. That means building you a fully customized website and filling it with relevant and localized content to help boost your company’s Google ratings and placement on local search engine results pages. Our team will work together to strategize your upcoming content production and release. For more information about crafting a better content strategy for your plumbing business, contact the SEO experts of Plumbing Webmasters at (877) 388-9884 today! Updated on April 1, 2019 at 4:28 pm by Plumbing Webmasters.